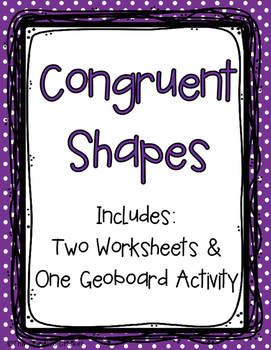 Allow your students to practice congruent shapes with this freebie! 1.) 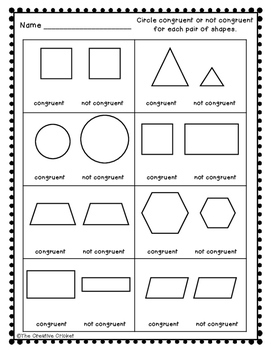 Students circle congruent or not congruent for each pair of shapes. 2.) Students circle all of the congruent shapes in each row. 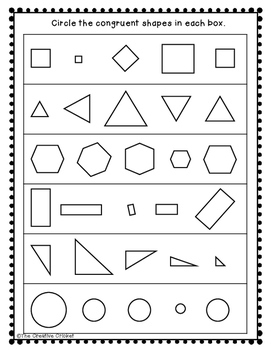 Print the geoboard patterns. 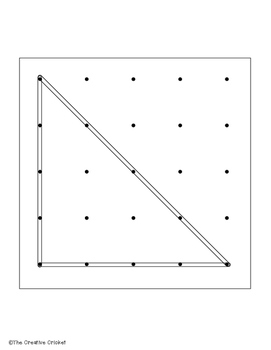 Allow students to take a pattern and create a congruent shape on their geoboards. Great practice in a math center! If you use any part of this freebie, please leave feedback! Thanks!